Promoting effective communication between the School of Pharmacy and its alumni. Developing a network within the UHH COP Alumni. Involving alumni in student recruitment, mentorship, and placement programs. Fostering communication among the alumni, administration, faculty, and student body. Serving as a training ground to help develop leaders in pharmacy. Promoting social activity among alumni of the College of Pharmacy. I offer my congratulations to the pharmacists who are graduates of the Daniel K. Inouye College of Pharmacy and invite all to become members of the UHH COP Alumni Association. I want to emphasize that it is never too early to get involved. Many graduates wait until much later in their careers to play a role in the alumni association. The impact that recent UHH COP graduates can have on prospective and current students is significant. The UHH COP Alumni Association promotes fellowship among members of the association, the pharmacy profession, pharmacy students, and members of all recognized allied health care professions. To the entering first year pharmacy students, congratulations and welcome to the UHH College of Pharmacy. Over the next four years, the College of Pharmacy will help you develop skills and obtain the knowledge that you will need to become a valuable member of the health care team. During this time, you will be challenged academically. You will also have the opportunity to develop relationships with those around you and network with pharmacy leaders and health care specialists in the community. Every great profession passes on its core principles through mentorship, which is the key to building and sustaining our profession. I invite all alumni to increase your participation by getting involved in the UHH COP Alumni Association. Your input on the board or on one of its committees would be indispensable in helping us to accomplish our mission. 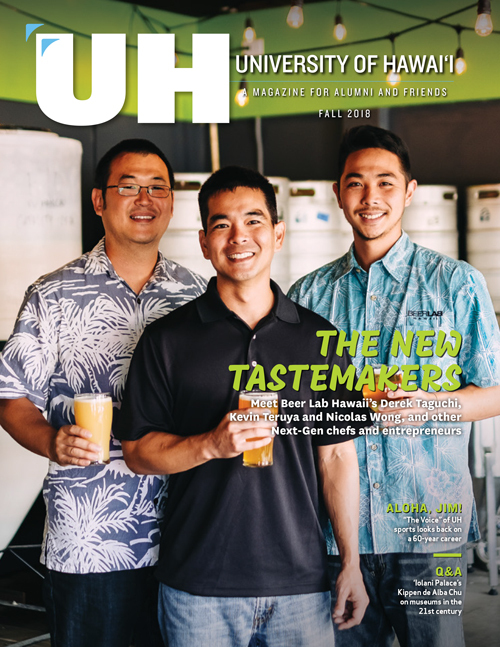 It is emphasized that one does not have to be a graduate of the University of Hawaii to be a friend and member of the UHH College Alumni Association. I encourage all friends, family, and supporters of the Daniel K. Inouye College of Pharmacy to become members of the UHH COP Alumni Association. Pharmacy alumni are an integral component of the College of Pharmacy’s success. Their philanthropic support is also essential to maintaining the outstanding education and clinical preparation that the College of Pharmacy provides to current students. For those of you who are members, I thank you for your commitment, support and dedication. For those who have not yet joined us, we look forward to your support. I eagerly anticipate a year of service as your president. Please join with me to make it a memorable year for the UHH College of Pharmacy Alumni Association. Please contact us if you would like to attend an alumni meeting, assist with alumni or UHH COP activities, contact classmates, share information or simply ask a question. We look forward to connecting with you. Each alumnus is an important member of our organization and our pharmacy community.